e-xpress Announces Mortal Kombat X Tournament At IGX ! e-xpress Interactive Software Pvt. 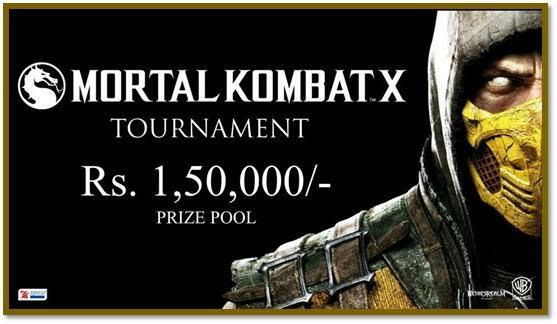 Ltd, a leading video game distributor in India, has announced, the Mortal Kombat X Tournament for the fans to rejoice for yet another moment. The Tournament will be held on 14th and 15th of November at Indian Games expo (IGX) – Goregaon, Mumbai. The best Mortal Kombat players in the country can now get immersed into the most brutal combat. Fans visiting the e-xpress Games booth will also get a chance to take home some exciting goodies. Mortal Kombat X is a fighting video game developed by NetherRealm Studios and published by Warner Bros. Interactive Entertainment. It is the tenth main instalment in the Mortal Kombat video game series and was released on April 14, 2015 for Microsoft Windows, PlayStation 4, and Xbox One.